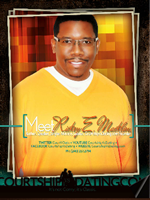 Author, Minister, Teacher, Speaker, Certified Christian Life and Christian Relationship Coach, and United States Veteran, Rickey E. Macklin has devoted the past 20 years to assisting men, women, and young people with finding their God-given potential, purpose and healthy relationships. He is a graduate of South Carolina State University, and he received extensive biblical training at Jericho Christian Bible College and later received a Masters in Theological Studies from National Bible College and Seminary. Later, as a Professor at the Jericho Christian Training College, he taught “Christian Apologetics” and “Courtship Vs Dating” for many years. Rickey is well known in the DC Metropolitan area, and up and down the East Coast for his passionate and purposeful teaching on relationships. He is adamant in helping others avoid the pitfalls of dead-end relationships and preventing divorces on this side of “I Do.” Rickey is the author of God’s Whole Armor, a book that prepares you for spiritual warfare; Daddy’s Waiting On You, a book on divine intimacy; 6 Points to Optimizing Your Life, a 6-day devotion to discovering the best you; Anointed But Not Ready, a book written to help you understand your purpose and God’s timing; Real Talk Relationship Tips, a book filled with tips to assist you in making the right relationship choices; The Chivalry Project, A Black Book For Gents, a book with 7 chivalric principles and 60 chivalrous acts for implementation; and His next book project is Inspiring Moments, a book written to edify, exhort, comfort, encourage, and inspire. Why Choose Courtship Over Dating? Courtship is an established relationship with someone where the intent is to carry out the relationship up to marriage. It should happen only once, but of course we all miss the mark at times. The great thing about courtship is there is no game to it. It’s designed for the matured and serious minded, but also allows the couple to relax and have fun as well in the discovery process. Dating offers no real protection and can happen for a hosts of reasons – with multiple people at the same time. It exposes you emotionally and leaves you vulnerable without protection. It teaches you flight instead of fight. Courtship encourages you to work through the things that can be worked through, while dating encourages you to throw it away and try something new. Expect to see life changing blog posts. We will be covering all areas to ensure that you are not only entering a productive and fruitful relationship, but also giving you principles on how to keep the momentum flowing through your engagement and into your marriage. Join in with us on Facebook as we continuously promote purposed-driven relationships through the Courtship Process. We encourage open discussion and invite you to share your opinions relative to the posts and discussion points. Be sure to check in daily. My heart was overjoyed to learn that there are men who wait on to Lord to guide them on when to awaken love. I thought it was just women who waited. From personal relationships/friendships, I’ve observed men don’t wait. This page encourages me to wait because there are men who allow God to saturate their mind and being and it’s admirable. Thanks! This page has helped me to understand how to be a Man of integrity, of the importance of waiting, and how to have a good Godly relationship which in turn reflects our world in all that we do unto God’s glory. Thank you for creating this site. My outlook toward dating has changed significantly. Because of this new attitude, I’ve been fortunate enough to find someone who is very like minded, and wants the same things out of her life I want out of mine. I can’t begin to tell you what that means to me. 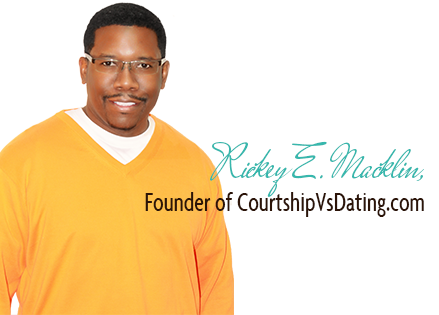 Book Rickey E. Macklin Today: Available for Conferences, Workshops, Seminars, Radio and Television interviews.